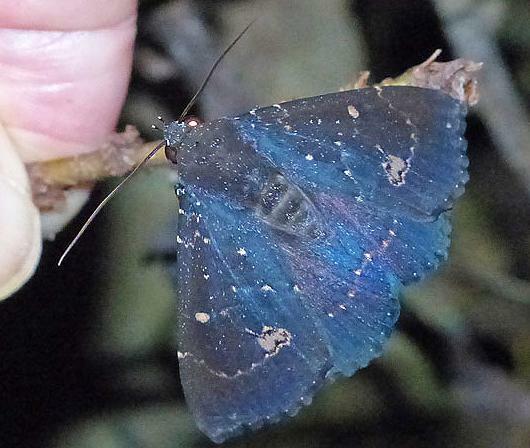 The adult moth of this species has dark blue forewings, and slightly paler blue hindwings, all with a subterminal arc of pale dots. The forewings also have a scattering of other pale spots. The forewings have a slight recurve at the wingtips. The blue fades to brown in museum specimens. The wingspan is about 7 cms. Volume 16 (1901), p. 83.